Identifying the business processes in two major industries and seeing the similar pains and needs! That is how Apzumi Spatial develops their virtual tools from the automotive focus to covering the offshore industry. So, what does a well-established company like Apzumi Spatial gain from being part of the Next Step Challenge program? “In Poland we live very far away from the coast and have no cooperation with the offshore industry, so coming to Denmark and having our business model and products challenged from true frontrunners in the offshore industry is of extremely high value to us”, explains Chief Revenue Officer Pawel Wasilewski from Apzumi Spatial. For more than 6 years the team behind Apzumi Spatial has worked with innovation through Augmented Reality technology and they have now developed a virtual tool for multipurpose use in industrial processes. 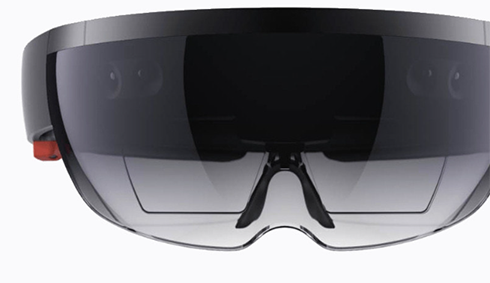 “We use Augmented Reality technology and features of innovative devices like MS Hololens to support production workers, engineers and designers of large-scale industrial companies. And we have identified that these processes and engineers have identical challenges in various industries. Including the offshore industry – we just don’t know how to adapt our business to that industry that we know so little about – that is where Next Step Challenge and the professional advisory board is very valuable to us,” explains Chief Technical Officer Karol Szmaj. And the business does have the same touchpoints to improve safety, improve logistic processes, improve planning of maintenance and education of workers. However, the documentation and certification in the branches varies and the adaption needs advice from inside the business. “Having Ken Sørensen from Viking Life Saving Equipment in our advisory board has given us a true challenge. He knows the industry at it’s very core, and he always asks the needed questions concerning our Go To Market strategy. It is of an extreme importance to gain access to people of that level of knowledge, and that is without a doubt a core value in the Next Step Challenge program” ends Pawel Wasilewski.